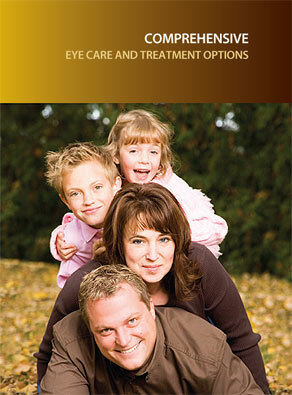 The doctors at Eye Consultants of Pennsylvania offer comprehensive eye care for every age group. Regular eye examinations are an invaluable factor in maintaining your eye’s health and vision through early detection and prevention of disease. Some eye diseases can develop slowly without causing any pain or obvious vision loss. Early discovery and intervention of any eye problem can diminish the risk of further harm and allow for a greater choice of treatment options. We all work as a team to insure that you get the most appropriate care you need and deserve for your eyes. Comprehensive eye care encompasses the diagnosis and management of many eye conditions. Vision care – Clear and comfortable vision is important for us to meet the visual demands of our modern society. Early childhood discovery of vision problems can also avoid a “lazy eye”. We are able to prescribe all types of conventional and specialized corrective lenses and contacts. Contact lenses can also be prescribed for infants when needed. We can also help you decide if refractive surgery is right for you. Cataract care – A cataract is the development of clouding in the natural lens in the eye. We will assess your vision and provide you with optical and or surgical options to best meet your visual needs. We are able to manage your surgery if needed in the comfort of an outpatient setting. Diabetic eye care – Diabetics have an increased risk of developing eye diseases which may cause vision loss. These can often arise without vision changes or pain to the patient. Significant damage may occur before the patient acquires any symptoms. It is very important for this reason for diabetics to have their eyes examined at least yearly. We will report your ocular status to your other diabetic providers to assist them in assessing your diabetic management. Our retinal service can also provide early treatment intervention when necessary. Macular degeneration – The macula is the region of the retina which gives us our sharpest central vision. It is the leading cause of blindness in people over the age of 60. Early detection can offer preventative measures and help to avoid serious vision loss. Eye Consultants has the latest in retinal imaging to help us intervene with specialized treatment at the right time. Glaucoma – Glaucoma is a disease that causes gradual damage to the optic nerve. The optic nerve is the vital connection between the eye and the brain which transmits visual information. A loss of vision is typically not experienced until a significant amount of nerve damage has occurred. As many as half of all people with glaucoma may therefore be unaware of their disease. Most cases of glaucoma can be controlled and vision loss slowed or halted by timely diagnosis and treatment. Our cumulative expertise and state of the art diagnostic equipment will insure optimal management. Dry Eyes – The quality of our tear film declines as we age. Other medical conditions and or medications used to treat them can cause the redness, irritation or dryness associated with this disorder. Watery eyes can also result from tear film deficiencies. We can offer the latest therapeutic regimens for easing this distress and making your eyes more comfortable. Flashes & Floaters- About 7 out of 10 people see floaters at some point in their lives. This occurs when the vitreous gel within our eye separates from the retina. In most cases the gel separates cleanly from the retina but occasionally it may cause a retinal tear. Flashes of light, also called flashes may accompany floaters. They appear like flashing lights or lightening streaks in the absence of any true light flashes. It is usually noticed in dark conditions. Flashes can indicate traction on the retina. Sudden onset of floaters, flashes, and reduction or obstruction of vision should all be evaluated quickly to rule out the possibility of retinal tears or detachments. If necessary, you can be referred for rapid treatment with our retina service. Blepharitis – Is a common inflammation of the eyelids which may be associated with itchy, irritated, red eyes and flakes on the lashes. Treatment is aimed at halting the inflammatory process, keeping the lids clean and eliminating the reservoir for bacteria. Early diagnosis and intervention can decrease the severity of its effects and improve the outcome of this frequently chronic disorder. Keratoconus – This is a deterioration of the structure of the cornea, causing a gradual bulging from the normal round shape to a cone shape. The resultant irregular surface of the eye distorts vision. In most cases, vision is restored by special contact lenses. Extreme cases may require corneal transplantation. Eye Consultants employs the latest contact lens technology to restore vision as well as the capability to transplant corneas when necessary on an outpatient basis. Our Specialists utilize the latest technology and enjoy an excellent reputation — one of high patient satisfaction and outstanding results. From the first moment a friendly staff member greets you until your surgery is performed in one of our state-of-the-art surgical suites, you’ll receive the compassionate care and personal attention that you deserve. Make your appointment to meet one of our Specialists and discover how we can make your world a brighter, clearer place.